The Baines Directory of 1825 records that Heysham was ‘a place of fashionable resort for sea-bathing’, ... but that ‘visitors were more select than numerous’. It is against this scene that the story of Heysham Tower is set. It was an 18th/19th century neo-Gothic Heysham building on a prominent site just south of St Peter’s school. The postcard photograph taken early in the 20th century is from the south. The main drive to the house came from the north just by the school. In the old walls to the south of the school you can make out where the entrance gateway would have been. The second photograph is of the back entrance to the Tower through the castellated arch. 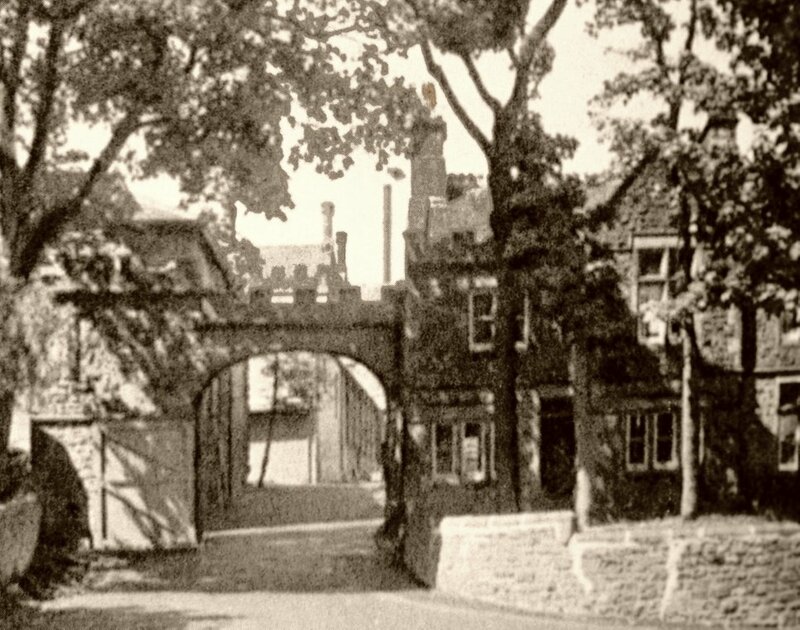 This can still be seen today at the junction of School Road and Middleton Road, together with the Tower cottages to the right of the arch. Parts of the Tower can be seen in the background. Newman Knowlys was Recorder for London from 1803 -1822 and consequently was frequently seen at the Old Bailey. His brother Thomas Knowlys had a son, Thomas John Knowlys, b.1803. In the 1820s Thomas John was educated at Trinity College, Oxford. The Hesketh family have historical connections with Rufford Hall, near Leyland, but later with Rossall. 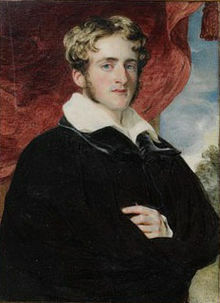 Robert Hesketh was born at Rossall in 1764 but after marriage to Maria Rawlinson in Lancaster in 1790 lived first at Wennington Hall (rented from the owner)). John Marsden had owned Wennington Hall before he moved to Hornby Castle where George Wright, subsequently of Heysham Lodge, was his steward. Six (all?) of Robert and Maria’s children were born at Wennington and baptised at Melling but at some point after that he moved to Heysham. 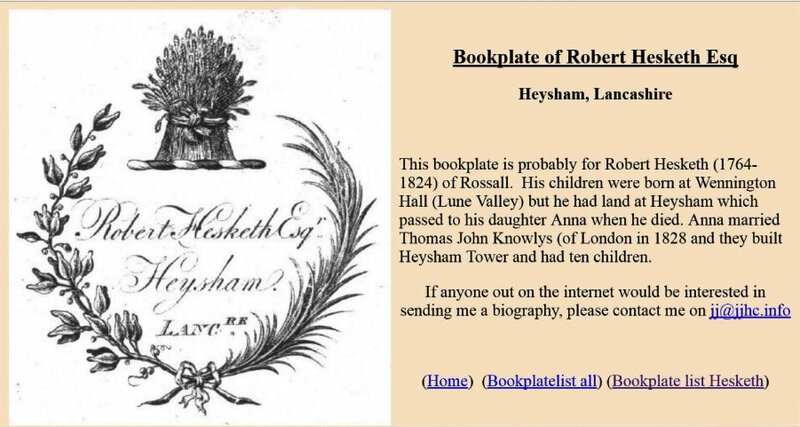 There are documentary references in the Lancaster Gazette for him being in Heysham from 1809-18 and he had a bookplate referring to Heysham (click here to see it) Where he lived was not the Old Hall which had been Heysham Hall from the time of its construction in 1598. We assume from subsequent events that where he lived eventually became Heysham Tower. Robert finally moved to Rossall when he became head of the family following the death of his elder brother in 1819. On the 1838 Tithe Map for Higher Heysham there is a building on the site of Heysham Tower which is the same shape as Heysham Tower but without the tower. When Robert Hesketh died in 1824 this property passed to his only surviving aughter Anna Maria Martha Hesketh. Anna’s elder brother Peter, who succeeded his father, is well known for founding Fleetwood and bringing the railway there in the 1840s. He later changed his name to Peter Hesketh-Fleetwood . He was MP for Preston , a Tory with liberal views, and was made a baronet in 1838. More importantly for our purposes he was also educated at Trinity College, Oxford in the 1820s. 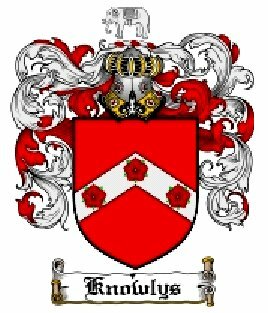 There he clearly formed a friendship with Thomas John Knowlys and in September 1828 Thomas John and Anna Hesketh were married at Poulton le Fylde where her elder brother had a short time earlier become the Vicar. Peter was a witness at the wedding. Thomas John and Anna lived in Heysham and over the next twenty years had ten children, four sons and six daughters, eight of whom were baptized at St Peter’s Church. 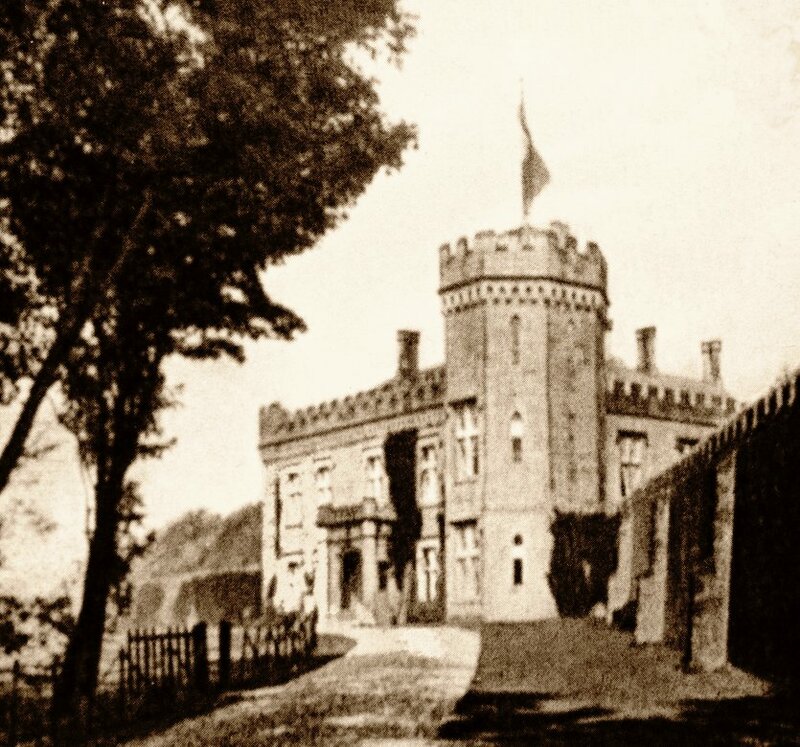 In 1838-1840 their house was presumably extensively refurbished and the tower added. In the 1841 census the Knowlys family are shown as living at Heysham Hall which ties in with Robert Hesketh having lived at this Heysham Hall. When Thomas John and Anna added the tower and other rooms to the property (the date usually stated for this is 1838-40) it became known as Heysham Tower which then enabled Thomas Rawsthorne, when he substantially enlarged his nearby house, to call it Heysham Hall. 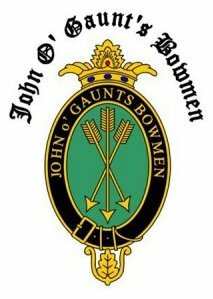 An interesting link with the present day is that Robert Hesketh, and later Peter Hesketh and Thomas John Knowlys were all members of an exclusive gentleman’s club, the John of Gaunt’s Bowmen; this was limited to 30 members and had Rules and Regulations which had to be strictly observed. They had annual ‘shoots’ at Fairfield in Lancaster in the 1850s watched by large crowds. The Society still exists in this area today but is now open to all comers and has summer meets on the Vale of Lune ground in Torrisholme. In Heysham are two schools, one called the parish school, ... and the other built and chiefly supported by John Knowlys, Esq. The reasons for this action are not stated, but local historian Eileen Dent states that Mr Knowlys thought the teaching at the Parish School ‘not evangelical enough’. For more details about the school see the Carr Garth page. In 1841 Heysham acquired national notoriety with proceedings instituted by T J Knowlys against the Rector of Heysham Robinson Shuttleworth Barton (click name for his profile), who was at Heysham from 1838-1858. To read a report of this case in The Gardeners Chronicle : A Stamped Newspaper of Rural Economy and General News, 1841 click here. The reference to ‘stamped’ is because at the time there was a stamp duty on newspapers. The living of Heysham is a rectory, now in the patronage of Clement Royds, Esq. of Mount Falinge, Rochdale, and incumbency of the Rev. Robinson Shuttleworth Barton, for whom the Rev. Charles Henry Wilson officiates. C H Wilson was succeeded as Curate by John Royds who subsequently became the first of the Royds rectors in 1858; From records in the Lancashire Parish Clerks website it can be seen that R S Barton only occasionally officiated at ceremonies, baptisms etc after 1843. For a short period in the 1850s the Tower was the home of William and Julia Holden; two of their children were baptized at St Peter’s. 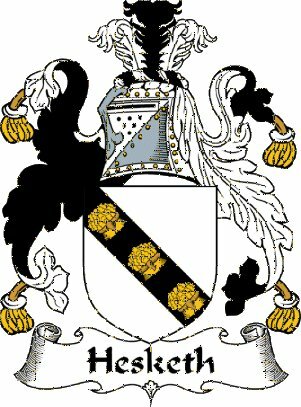 William was the son of John Greenwood of Palace House, near Burnley, who had assumed the name of Holden. By the time of the 1861 census they had left the Tower and were living near Liverpool; before her marriage Julia lived at Seaforth House, Sefton, Liverpool By the time of the 1871 census (and also 1881 census) we find an older couple living at the Tower, William and Mary Bennett (also from Liverpool) and their daughter Mary. In the 1891 census Joseph and Mary Cawthra and their daughter Amelia are living at the Tower. 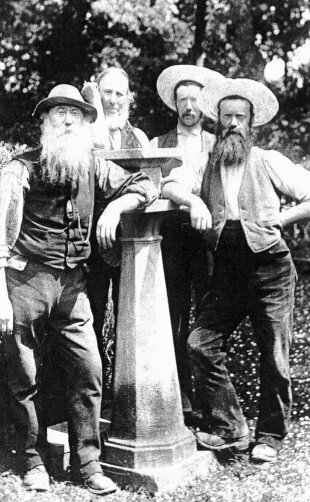 During this period (and maybe earlier too) William Stephenson (on the left of the picture) was the head gardener at the Tower. Also in the picture are Richard Warbrick, great grandfather of Peter Cook, whose parents ran one of the Tea Gardens at Greese Cottage in the mid 20th century. Peter Cook suggests that the other two are possibly Thomas Stephenson b.1826 (William’s brother) and Robert Stephenson b.1855 (Richard Warbrick’s brother). For a few years William Stephenson kept a diary which you can read here. This was first published in The Heysham Peninsula (HHA 2000).